There is a direct relationship between chronically elevated cholesterol levels (dyslipidaemia) and coronary heart disease. A reduction in total cholesterol is considered the gold standard in preventative cardiovascular medicine. Exercise has been shown to have positive impacts on the pathogenesis, symptomatology and physical fitness of individuals with dyslipidaemia, and to reduce cholesterol levels. The optimal mode, frequency, intensity and duration of exercise for improvement of cholesterol levels are, however, yet to be identified. This review assesses the evidence from 13 published investigations and two review articles that have addressed the effects of aerobic exercise, resistance training and combined aerobic and resistance training on cholesterol levels and the lipid profile. The data included in this review confirm the beneficial effects of regular activity on cholesterol levels and describe the impacts of differing volumes and intensities of exercise upon different types of cholesterol. Evidence-based exercise recommendations are presented, aimed at facilitating the prescription and delivery of interventions in order to optimize cholesterol levels. The term ‘lipid profile’ describes the varying levels of lipids in the blood, the most commonly reported ones being low-density lipoprotein (LDL) cholesterol, high-density lipoprotein (HDL) cholesterol and triglycerides. High levels of LDL cholesterol indicate surplus lipids in the blood, which in turn increase the risk of cardiovascular complications. HDL cholesterol transports lipids back to the liver for recycling and disposal; consequently, high levels of HDL cholesterol are an indicator of a healthy cardiovascular system . Triglycerides in plasma are derived from fats eaten in foods or from other energy sources. An excess of triglycerides in plasma is positively and independently associated with cardiovascular disease . Very-low-density lipoprotein (VLDL) cholesterol—which is generally less frequently reported in the literature—has been shown to positively correlate with triglycerides and to be independently associated with cardiovascular risk, even in individuals who express normal LDL cholesterol levels . The most commonly used measure of cholesterol is arguably ‘total cholesterol’, a measure that includes LDL cholesterol and HDL cholesterol. However, given the different effects of LDL cholesterol and HDL cholesterol on health, total cholesterol can be a misleading metric. More sensitive measures report, for example, the total:HDL cholesterol ratio, or non-HDL cholesterol levels (i.e. all cholesterol variables that are positively associated with cardiovascular disease ). There is a direct relationship between chronically elevated cholesterol levels (dyslipidaemia) and coronary heart disease (CHD) . In a meta-analysis of 170,000 participants , it was reported that reductions in LDL cholesterol decreased the incidence of heart attacks and ischaemic strokes. It has also been reported that individuals with elevated total cholesterol levels (>200 mg/dL/5.172 mmol/L) have approximately twice the CHD risk of those with optimal levels (<180 mg/dL/4.66 mmol/L) . The US Centers for Disease Control and Prevention have suggested that this is the case for 71 million US adults, equating to 33.5 % of the population . The prevalence of elevated total cholesterol is even higher in Europe, where 54 % of adults aged ≥25 years have total cholesterol levels above the recommended levels . For over 10 years, the link between high cholesterol and ischaemic heart disease has been evident. Data from 2003  attributed one third of all ischaemic heart disease globally to high cholesterol levels. While the age-adjusted prevalence of high cholesterol in the USA decreased from 26.6 % (in 1988–1994) to 25.3 % (in 1994–2004), recent data  have suggested that the proportion of the adult population using pharmacological cholesterol-lowering substances increased from 11.7 to 40.8 % during this period. It has long been recognised that reductions in serum cholesterol can reduce CHD risk—for example, reductions of around 0.6 mmol/L can reduce the incidence of ischaemic heart disease by 54 % at the age of 40 years, reducing to 19 % at 80 years . A reduction in total cholesterol is therefore still considered the gold standard in preventative cardiovascular medicine . This highlights the importance of interventions aimed at reducing serum cholesterol levels. Furthermore, the advantage of early intervention has been demonstrated; long-term exposure to 1 mmol/L lower LDL cholesterol has been associated with a 55 % reduction in CHD risk, while treatment with statins starting in later life required a threefold reduction in LDL cholesterol to achieve the same magnitude of risk reduction . Pedersen and Saltin , citing 13 meta-analyses, reported improvements in the lipid profile following exercise. They described this as Category A evidence that exercise can have a positive effect on the pathogenesis, symptomatology and physical fitness of individuals with dyslipidaemia. In addition, Aadahl et al. reported a physical activity intervention based on lifestyle consultations in 1,693 sedentary men and women aged 33–64 years. Participants taking lipid-lowering medication were excluded from the analysis. At 3-year follow-up, a significant positive association was observed between self-reported 24-h physical activity and HDL cholesterol levels (p = 0.0001), while a significant negative association was reported between physical activity and triglyceride levels (p = 0.0001). Overall, the data suggested a dose–response relationship between increases in physical activity and improvements in triglycerides and HDL cholesterol in previously sedentary populations. Five-year follow-up of a subsequent study by Aadahl et al. reported significant associations between physical activity and improvements in total cholesterol (p = 0.006), LDL cholesterol (p = 0.007), triglycerides (p = 0.02) and HDL cholesterol (p = 0.01) among 4,039 participants aged 30–60 years, although significant improvements in HDL cholesterol levels were found only in men. While the mechanisms underlying the effect of exercise on the lipid profile are unclear, exercise appears to enhance the ability of skeletal muscles to utilize lipids as opposed to glycogen, thus reducing plasma lipid levels . The mechanisms may include increases in lecithin-cholesterol acyltrans (LCAT)—the enzyme responsible for ester transfer to HDL cholesterol , which has been shown to increase following exercise training —and increases in lipoprotein lipase activity, although the data in this instance are inconsistent  and may depend upon the energy expenditure that is elicited. Ferguson et al. reported that 1,100 kcal of energy expenditure is required to elicit increases in HDL cholesterol that coincide with significant increases in lipoprotein lipase activity. The process of cholesterol removal is known as ‘reverse cholesterol transport’. This process removes cholesterol from circulation for disposal as a result of increases in LCAT and reductions in cholesterol ester transfer protein (CETP)—the enzyme responsible for transfer of HDL cholesterol to other lipoproteins—following acute and chronic exercise . This increased enzymatic activity increases the ability of muscle fibres to oxidize fatty acids originating from plasma, VLDL cholesterol or triglycerides . This process is conceptualized in Fig. 1. Kesaniemi et al. reviewed 51 papers describing physical activity interventions, and reported a mean increase in HDL cholesterol of 4.6 %. The effects on LDL cholesterol and triglycerides were reported as being inconsistent. The authors concluded that the most likely physical activity-induced improvement in the lipid profile is an increase in HDL cholesterol. The terms ‘physical activity’ and ‘exercise’ are often used interchangeably in the literature. However, it is suggested that the two terms denote two different concepts . ‘Physical activity’ refers to any bodily movement produced by skeletal muscles that results in an expenditure of energy (expressed in kilocalories), and which includes a broad range of occupational, leisure and daily activities. ‘Exercise’ instead refers to planned or structured physical activity, performed for a reason, which can be aerobic exercise, resistance training or combined aerobic and resistance training. The Physical Activity Guidelines Advisory Committee Report  highlighted the need to design a programme that will provide appropriate exercise in order to attain maximal benefit at the lowest level of risk. However, despite a large number of related publications, a comprehensive overview of optimal modes, intensities and frequencies of physical activity in the context of the lipid profile is yet to be published by any of the agencies involved. A recent review by the European Society of Cardiology (ESC)  briefly summarized the short- and long-term effects of aerobic exercise and resistance training in normolipidaemic subjects and hyperlipidaemic patients. The ESC concluded that it has not yet been established how much exercise is required in order to improve the lipid profile and reduce cardiovascular risk. In fact, the authors of a recent meta-analysis  highlighted the lack of evidence for training programmes that optimally improve cardiovascular risk, drawing particular attention to the effects of aerobic exercise, resistance training or both on cardiovascular risk factors. The present review aims to synthesize the current published evidence regarding the impacts on cholesterol levels of aerobic exercise, resistance training or both. Following the review, evidence-based recommendations for best practice are presented. It is recognised by the authors that these guidelines should be considered tentative, given the range of research methods, interventions and populations that are described (in short, the relative lack of programmatic research). However, these will provide a basis for current practice and, we hope, a platform for future research and recommendations. A PubMed search using the terms ‘aerobic exercise’, resistance training’, ‘combined aerobic and resistance training’, ‘intervention’ and ‘cholesterol’ was conducted for articles published between 1975 and December 2012. The reference lists of identified articles were also searched, and relevant papers were identified. Articles were selected if they assessed the impact of at least one mode of exercise on cholesterol levels. Articles were selected only if they contained data regarding the mode, intensity, frequency and duration of exercise (Fig. 2). Articles were excluded if the participants were receiving medication designed to lower or control cholesterol levels (e.g. statins). An example of an excluded article is one by Hansen et al. , which compared interventions involving aerobic exercise alone or combined with resistance training. However, the participants were receiving various medications for coronary artery disease, including statins and beta-blockers; therefore, the observed effects could not be unambiguously attributed to the exercise intervention alone. Subsequently, and following an early review of this article, secondary database searches were extended to the Web of Knowledge, Science Direct and Google Scholar. These additional searches revealed no additional articles meeting the selection criteria for inclusion in this review. The findings of all studies meeting the inclusion criteria are presented in Sects. 4.1 (aerobic exercise), 4.2 (resistance training) and 4.3 (combined aerobic and resistance training). In total, 13 original research articles and two review articles were included in this review. Care was taken to ensure that information was not ‘counted’ twice—that is, as an original research investigation and as part of a review. The characteristics and findings of all included studies are also presented in Table 1. Aerobic exercise involves cardiorespiratory endurance exercises such as jogging, running and cycling . Leon and Sanchez  conducted a meta-analysis of 51 interventions involving 12 weeks or more of aerobic exercise (n = 4,700). It was reported that, on average, HDL cholesterol increased by 4.6 % while triglyceride levels fell by 3.7 % and LDL cholesterol fell by 5 %. Total cholesterol remained unchanged, although the HDL:LDL cholesterol ratio improved considerably, suggesting that the increased intensity and structure normally associated with aerobic exercise has a more consistent impact upon triglycerides and LDL cholesterol than moderate levels of physical activity. Studies subsequent to or not included in that meta-analysis are reported below. It was suggested in the introduction that HDL cholesterol is the component of the lipid profile that is most likely to improve as the result of physical activity. This is supported by evidence relating to aerobic exercise presented by Banz et al. , who reported a 13% increase in HDL cholesterol (from 29.8 to 33.7 mg/dL, p < 0.05) following a relatively short 10-week protocol of training three times weekly at 85 % of the maximal heart rate (HRmax) [from the second week onwards] for 40 min on ski-style exercise equipment. The authors reported that HDL cholesterol was the only component of the lipid profile that improved. Nybo et al. reported that the total:HDL cholesterol ratio was the only component of the lipid profile that improved significantly (decreasing from 3.41 to 2.92, p < 0.05) by 150 min of exercise weekly at 65 % of the maximal aerobic capacity (VO2max) in previously untrained participants. That investigation compared a prolonged (150 min/week) aerobic exercise protocol with an intense interval running protocol (40 min/week) [n = 36]. No improvements in the lipid profile were reported following the intense interval programme. Those authors consequently suggested that the training volume, as opposed to the training intensity, is the key to improving the lipid profile, and that there may be a relationship between body fat (which decreased only in the prolonged exercise group) and cholesterol levels, whereby a volume sufficient to elicit changes in fat mass is required to favourably alter the lipid profile. When the intensity of aerobic exercise is increased during continuous effort, the effects upon HDL cholesterol appear to become more consistent. Dunn et al. investigated the effects of a 6-month aerobic exercise training programme, which progressed from 50 to 85 % of maximum aerobic power for 20–60 min three times weekly, and reported significant decreases in total cholesterol (−0.3 mmol/L, p < 0.001) and in the total:HDL cholesterol ratio (−0.3, p < 0.001). In this case, the intervention period was relatively long and the intensity was relatively high. In a 16-week study, LeMura et al. reported significant reductions in plasma triglycerides (from 1.4 to 1.2 mmol/L, p < 0.05) and increases in HDL cholesterol (from 1.4 to 1.8 mmol/L, p < 0.05) after training three times weekly at 70–75 % HRmax for 30 min for the first 8 weeks, progressing to four times weekly at 85 % HRmax for 45 min thereafter. The data suggested that shorter-term interventions will be effective also if the training volume is high enough. Increasing the frequency of training to four times weekly may have elicited the additional benefits seen by LeMura et al. in comparison with those observed by Banz et al. (with three training sessions weekly). Further, LeMura et al. observed a 13 % reduction in the body fat percentage (from 26.4 to 22.9 %, p < 0.05), suggesting that the additional volume of training generated an additional metabolic response—a parameter not reported by Banz et al. Kraus et al. investigated the impact of increasing the volume and intensity of aerobic exercise upon the lipid profiles of 111 sedentary overweight participants, all with mild to moderate dyslipidaemia. Participants were allocated to either 6 months in a control group or 8 months in one of three aerobic exercise groups. The three aerobic exercise groups were high-intensity/high-volume aerobic exercise (jogging for the calorific equivalent of 20 miles/week at an intensity of 65–80 % of the peak aerobic capacity (VO2peak), high-intensity/low-volume aerobic exercise (jogging for the calorific equivalent of 12 miles/week at an intensity of 65–80 % VO2peak) and moderate-intensity/low-volume exercise (walking for the calorific equivalent of 12 miles/week at an intensity of 40–55 % VO2peak). It was reported that the high-intensity/high-volume training combination resulted in the greatest improvements in 10 of 11 lipid variables (LDL cholesterol decreased from 130.1 to 128.2 mg/dL, p < 0.05; HDL cholesterol increased from 44.3 to 48.6 mg/dL, p < 0.05; triglycerides decreased from 166.9 to 138.5 mg/dL, p < 0.05). These data suggest that in relation to aerobic exercise, both total energy expenditure and intensity are factors in lipid reduction. O’Donovan et al. controlled the training volume to directly assess the impact of the training intensity. Sixty-four previously sedentary men were randomly allocated to either a control group, a moderate-intensity exercise group (at 60 % VO2max) or a high-intensity exercise group (at 80 % VO2max). Both exercising groups completed three 400 kcal sessions weekly for 24 weeks. By setting the session volume in calories, the overall training volume was controlled. Participants were instructed to maintain their dietary habits. It was reported that significant lipid profile improvements occurred only in the high-intensity group, with significant decreases (p < 0.05) in total cholesterol (from 6.02 to 5.48 mmol/L), LDL cholesterol (from 4.04 to 3.52 mmol/L) and non-HDL cholesterol (from 4.58 to 4.04 mmol/L). The evidence suggests that a moderate-intensity exercise programme will be effective in increasing HDL cholesterol. This will have a positive impact upon atherosclerosis (hardening of artery walls through plaque and fat accumulation ) via HDL cholesterol-facilitated removal of LDL cholesterol. To directly reduce LDL cholesterol and triglyceride levels, however, the intensity of aerobic exercise must be increased—something that may not be possible in individuals with a limited exercise capacity or other risk factors. Theoretically, resistance training (strength-developing exercise utilizing external resistance or one’s own body weight ) may be a more accessible form of exercise for less mobile groups, as well as providing an alternative to aerobic training for more mobile individuals . Prabhakaran et al. investigated the effect of 14 weeks of resistance training in premenopausal women (n = 24). Resistance training was at an intensity of 85 % of one maximal repetition (85 % 1 RM), where one maximal repetition is the maximal load that can be lifted once for a given exercise . Participants were randomized to either resistance training or to a non-exercising control. Supervised exercise sessions lasted 40–50 min and were completed three times weekly. Significant (p < 0.05) decreases in total cholesterol (from 4.6 to 4.26 mmol/L) and LDL cholesterol (from 2.99 to 2.57 mmol/L) were observed, along with lowered body fat (from 27.9 to 26.5 %). Acute changes in the lipid profile following different intensities of resistance training were examined by Lira et al. . Untrained males (n = 30) were randomized to intensity groups at baseline. Measures of cholesterol were collected at time points of 1, 24, 48 and 72 h following resistance training at intensities of 50, 75, 90 and 110 % (in the later scenario in the eccentric phase only, performance was assisted during the concentric phase). The total training volume was equalized between the groups to ensure that the resistance training intensity was the factor being assessed. Triglyceride clearance at 72 h was significantly (p < 0.05) greater following 50 % 1 RM (−14.6 mg/dL) and 75 % 1 RM (−10.7 mg/dL) than following 90 % 1 RM (+9.5 mg/dL) and 110 % 1 RM (+12.1 mg/dL). Further, increases in HDL cholesterol were significantly greater following 50 % 1 RM and 75 % 1 RM than following 110 % 1 RM (p = 0.004 and 0.03, respectively). The authors concluded that low- to moderate-intensity resistance training results in greater benefit to the lipid profile than high-intensity resistance training, although the mechanisms underlying this difference are unclear. It is speculated that the reduction in total cholesterol is a result of the exchange of cholesterol ester between tissues and lipoproteins to HDL cholesterol (Fig. 1); however, the way this differs between 50, 75, 90 and 110 % 1 RM warrants further investigation. Vatani et al. examined the effects of various intensities of resistance training on the lipid profile over 6 weeks. Healthy male participants (n = 30) were randomized to either a moderate-intensity resistance training programme (45–55 % 1 RM) or a high-intensity resistance training programme (80–90 % 1 RM). Both groups were supervised during training sessions and attended three sessions weekly. Significant (p < 0.05) reductions in LDL cholesterol (moderate-intensity −13.5 mg/dL vs high-intensity −12.1 mg/dL), total cholesterol (moderate-intensity −12.2 mg/dL vs high-intensity −11.3 mg/dL) and the total:HDL cholesterol ratio (moderate-intensity −0.38 vs high-intensity −0.47) were found in both groups, with no significant differences between the two groups. Significant increases in HDL cholesterol, however, were observed only in the high-intensity group (+5.5 mg/dL). This is perhaps surprising, considering that previous research indicated that increased HDL cholesterol is likely to be the first lipid profile response to exercise, even at low intensities of activity . This study once again demonstrated the limited additional benefit of increasing the resistance training intensity when equalizing the training load by reducing the numbers of sets and repetitions being completed to compensate for the increased weight being lifted. In addition, the authors reported no significant changes in lipoprotein lipase activity following the exercise training intervention—which was surprising, considering the lipid profile changes that were elicited. This would, however, be dependent upon the time interval between the final exercise session and the blood sample collection (normally longer than 24 h), because of the acute response of lipoprotein lipase (increases have previously been shown to only be maintained for 48 h following a 1,500 kcal exercise session and not following a ≤1,300 kcal session —levels unlikely to be attained by this exercise intervention). Thus, although the levels were unchanged at post-intervention testing, lipoprotein lipase should not be ruled out as a mechanism. Fett et al. incorporated resistance training into circuit training sessions in which no specific weight was specified but a specific time duration was allocated to each exercise. Sessions lasted 60 min and were completed three times weekly for 1 month and four times weekly for the second month. Significant reductions were reported in total cholesterol (from 203 to 186 mg/dL, p < 0.01) and triglycerides (from 122 to 91 mg/dL, p < 0.05), further adding to the speculation that the volume of movement may be just as important as—or even more important than—the amount of weight lifted. The evidence presented above demonstrates the effectiveness of both aerobic exercise and resistance training in controlling and improving cholesterol levels through various modes, frequencies, intensities and durations of exercise, in different populations. There is limited literature that has examined the two modalities combined, although a recent review by Tambalis et al. suggested that although some combination protocols have been effective in lowering LDL cholesterol and increasing HDL cholesterol, others have not. Shaw et al. examined the effect of a 16-week moderate-intensity combined aerobic and resistance training protocol in previously untrained but otherwise healthy young men (n = 28). The protocol lasted 45 min and combined aerobic exercise at 60 % HRmax with resistance training (two sets of 15 repetitions) at 60 % 1 RM. It was reported that LDL cholesterol was significantly reduced following aerobic and resistance training (from 4.39 to 3.23 mmol/L, p < 0.05), although the reduction was not significantly different from that achieved by 45 min of aerobic exercise alone (from 3.64 to 2.87 mmol/L, p < 0.05). It can therefore be concluded that no additional LDL cholesterol reduction resulted from combining the two modes of exercise. However, this investigation did demonstrate that resistance training might successfully compensate for reductions in aerobic exercise. Further, the authors suggested that additional physiological systems benefited from resistance training, making it potentially more effective. Yang et al. reported a study investigating relationships between exercise, cholesterol and arterial stiffness in obese middle-aged women (n = 40, body mass index >25 kg/m2, age 30–60 years). The experimental protocol consisted of 45 min of aerobic exercise at an intensity of 60–75 % HRmax at 300 kcal per session and 20 min of resistance training at 100 kcal per session five times weekly over a 12-week period. Reductions were observed in total cholesterol (from 5.2 to 4.2 mmol/L, p = 0.655), LDL cholesterol (from 3.2 to 2.6 mmol/L, p = 0.172), triglycerides (from 3.0 to 2.5 mmol/L, p < 0.001) and arterial stiffness measured via the brachial–ankle pulse wave velocity (from 1,286 to 1,195 cm/s, p < 0.001). While no controls were included in this study, these data suggested the potential clinical significance of reductions in cholesterol—that is, a reduction in arterial stiffness, which is all too often associated with heart attacks and strokes. Ha and So  combined 30 min of aerobic exercise at 60–80 % of the maximal heart rate reserve (maximal heart rate − heart rate at rest) [HRreserve] with 30 min of resistance training at 12–15 repetitions maximum in 16 participants aged 20–26 years for 12 weeks. The intervention significantly reduced the participants’ waist circumference, body fat percentage and blood pressure values, compared with those of non-exercising controls. The lipid profile improved in the exercising condition, with reductions in total cholesterol from 180.29 to 161 mg/dL, LDL cholesterol from 112.14 to 103.57 mg/dL and triglycerides from 97.14 to 50.43 mg/dL, although the changes did not reach statistical significance when compared with values in the controls. The authors suggested that the participants was too young to elicit the clinical and significant effects shown by previous research in predominantly elderly or middle-aged participants. On the basis of the above data relating to the effects of exercise on cholesterol levels, exercise recommendations have been formulated (Table 2). Interventions that have demonstrated particular effectiveness—that is, higher-intensity aerobic exercise  and moderate-intensity resistance training —have been incorporated. Previous evidence has highlighted a dose–response relationship between activity levels and increases in HDL cholesterol ; therefore, the exercise recommendations are to be considered a minimum. These evidence-based recommendations should aid in the prescription and delivery of interventions designed to reduce cholesterol levels. The above data provide some support for the proposal that physical activity and exercise can be utilized to improve cholesterol levels. Regular physical activity has been shown to increase HDL cholesterol while maintaining, and theoretically offsetting increases in, LDL cholesterol and triglycerides. There appears to be a linear dose–response relationship between activity levels and HDL cholesterol levels. More intense activity, however, is required to elicit reductions in LDL cholesterol and triglyceride levels. Aerobic exercise at high intensities appears to be effective in improving the lipid profile, and the effects surpass those of physical activity by initiating clearance of plasma LDL cholesterol and triglycerides. The dose–response relationship between the lipid profile and energy expenditure seems to transcend the mode of exercise. Increases in calorific expenditure associated with aerobic exercise (via increased intensity and/or duration) have been shown to positively influence lipoprotein lipase activity, HDL cholesterol levels  and the lipid profile . During resistance training, it has been shown consistently that the increased volume of movement via increased numbers of sets and/or repetitions has a greater impact upon the lipid profile than increased intensity (e.g. via high-weight low-repetition training) [23, 43]. Prolonged moderate-intensity aerobic exercise should be recommended as a starting point for those who have previously been sedentary or are new to exercise. Resistance training presents a viable alternative to aerobic exercise or is an effective intervention independently. High-intensity exercise (>85 % 1 RM) has been shown to be no more effective than moderate-intensity exercise (50–85 % 1 RM). The addition of resistance training to aerobic exercise will supplement—and possibly enhance—the effects on the lipid profile, although there is limited literature comparing the three modes of exercise, rendering definitive statements problematic. There will, however, be no reduction in the effect, and the additional physiological and psychological systems that are impacted may manifest additional benefits when aerobic exercise and resistance training are combined. The data included in this review confirm the beneficial effects of regular physical activity on cholesterol levels. Such knowledge should aid in the prevention and management of dyslipidaemia while reducing the risks of heart attacks, strokes and coronary artery disease. 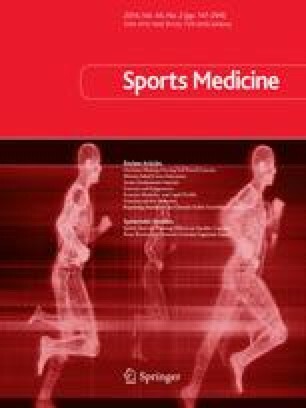 Having considered the baseline condition of their patients, clinicians should encourage as much physical activity as possible while, where feasible, highlighting the additional impact or appropriateness of aerobic exercise, resistance training or both to obtain optimal benefits in their patients. The authors wish to thank Drs Judith Allgrove, Silvano Zanuso and Steffano Balducci for assistance in the early editing and proof reading of this review article. No sources of funding were used in the preparation of this review.